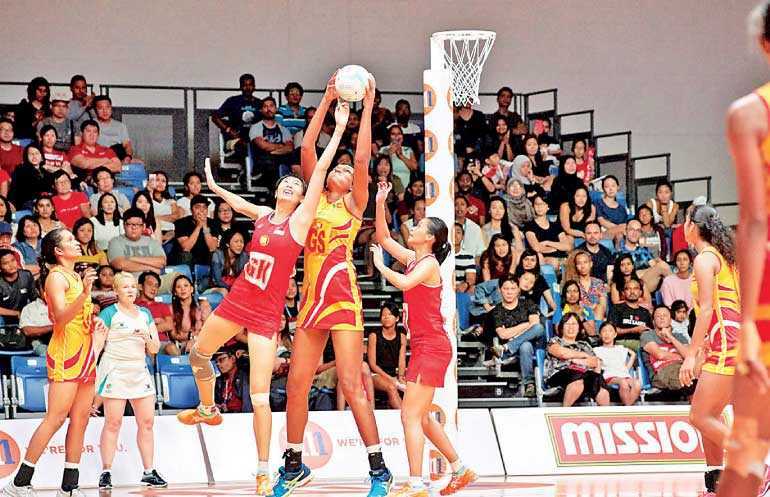 SINGAPORE: A rampant Sri Lanka outplayed Singapore 69-50 on Sunday (9 September) in the final of the M1 Asian Netball Championship at the OCBC Arena to win their first Asian title since 2009. The young Sri Lankan side showed that they had the depth to complement their 2.08 m goal-shooter Tharjini Sivalingam with three other players in the starting XI standing over 1.8m. “I’m so proud of my team now and I’m very happy,” said a jubilant Sri Lankan captain Chaturangi Jayasooriya after the game as her team-mates waved back joyously and blew air kisses. The two teams were tied at 16-16 after the first quarter with goal-attack Charmaine Soh and goal-shooter Sivalingam in fine fettle for Singapore and Sri Lanka respectively. But, with the game finely balanced, it was Singapore who blinked first. The momentum appeared to have swung the way of the hosts at 20-18 with 12 minutes left in the first half when goal-shooter Lee Pei Shan had the opportunity from point-blank range to put Singapore up by three after Sri Lanka had botched a pass to Sivalingam at the other end. It was a lead they never relinquished as Singapore struggled against Sivalingam on one end, and 1.83m Jayasooriya and 1.86m Gayani Dissanayake (the goal-defence and goal- keeper) at the other. In an earlier match, Malaysia had beaten Hong Kong 52-46 to claim third place.